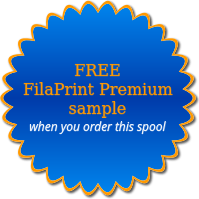 A 3D FilaPrint Mid-Range Blue Premium PLA. Low warp, easy to print. 1 Kilo of premium 3D Printer Filament, amazing value for money.